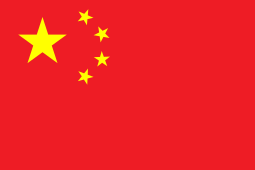 In 1981 the Communist Party of China amended the country’s constitution so that no one person could rule for life in an attempt to make the nation actually look like a “republic”. Leaders also made the change hoping that it would help the country recover from years of bloody turmoil and political campaigns under Mao that killed millions. But now those days are gone as the party overwhelmingly voted to do away with presidential term limits as they selected Xi Jinping to serve another term. His vice president Wang Qishan also selected by the National People’s Congress has long been a close ally of Xi and is expected to further Xi’s agenda of shoring up power in the Communist Party and ending poverty in the nation. All 2,970 members of the NPC voted in favor of the change and supported Xi remaining in power. With his unlimited tenure as president, Xi was made once again the head of the commission that controls the nation’s military. Chinese officials defended the move saying that it would bring the presidency in line with Xi’s vision of China and give him more leeway as head of the armed forces. The 64-year-old is said to be the most powerful Chinese leader since Mao Zedong. Not everybody is happy with the move, however; critics say that the change will lead to further political repression and conflict within the party as various factions try to push their own candidates within what is a closed system. Xi became president in 2013 and has not stated how long he intends to remain in power. NPR reports that the government claims that overwhelming polls show that the majority of Chinese from the wealthy to the “commoners” support the NPC’s decision to allow Xi to rule for an unlimited amount of time, however, there have been no polls released nor has anybody been able to conduct any such polls. And when people are asked on the streets, they seem content with Xi remaining in power and cite that they like his tough foreign policy stance. On Sunday Russians go to the polls to vote in an election that is expected to place Vladimir Putin in power for another six years. In the Far East, polls have already opened where 109 million voters are eligible in 11 different time zones. The election is said to be lop-sided favoring Putin who has no real competition and Putin’s only real opponent, Alexei Navalny has been barred from participating. In 2012, Putin won in a landslide victory but this time, there is a lot of anti-western rhetoric to pave his path to victory. In what is more or less a controlled media in the country, Russians seeing what Putin and the government want them to see such as the diplomatic shortcomings between Moscow, England, and Washington according to them, Putin is not worried about losing power. However; voter turnout could be an issue as many Russians lost faith in the system due to a number of scandals and rampant corruption. There were also protests last year as many took to the streets to make the unsatisfaction with the government, public. Navalny has even called for a protest of the election. Past polls have shown that Putin is popular among the Russian people as they believe that he has led the country out of the turmoil that was rampant following the post-Soviet days. As leaders who have typically been anti-American and in general, anti-west tighten their grip on power, the United States must play its cards smart. As President Trump continues to talk tough on North Korea and is planning on meeting with Kim Jong Un, he must keep in mind China’s tight alliance with Pyongyang, remembering their aid to the communists in the Korean War. U.S officials must not forget the hacks conducted by the Chinese and the recent hacks by Russia on the American power grid. And we must not forget the Russian interference in the 2016 presidential election, whether they helped Trump or not. 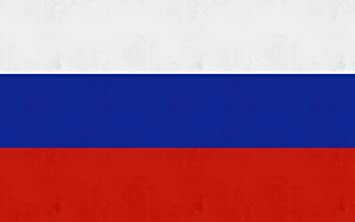 Russia is also suspected of interfering in numerous elections in Europe. As the UK has expelled Russian diplomats over the suspected poisoning death of a former spy, Moscow has pushed back expelling British diplomats as well. The Kremlin has even promised retaliation against the U.S for sanctions it has placed on Moscow over the election hacks. Two men who are nothing less than dictators are trying to crack down in their own countries and looking to expand their dominance in other parts of the world. The U.S must remain strong and not allow Xi and Putin to influence other nations especially those who may already have some hostilities towards the west. The U.S must be ready for anything and keep an eye out for further Russian interference and hacks in the future. Trump meets Kim Jong Un. What will happen? From the day Donald Trump was sworn in as President of the United States, he has not been short on words when it comes to North Korean dictator Kim Jong Un, going as far as calling him “little rocket man” before the UN General assembly which prompted Kim to call Trump a “dotard”. For years the Kim family has requested a face-to-face meeting with a sitting U.S president but has been denied due to its refusal to cease its nuclear program and for various human rights violations. But now, the president who has labeled himself as “the dealmaker” will be the first sitting U.S President to meet with any North Korean leader since the Korean War ended in 1953 and the discussion will be denuclearization and peace on the Korean peninsula. Whatever the result of this meeting is, it will be crucial to global security and stability as well as an important moment in history. The President’s decision to meet with Kim was sudden and has not come without criticism from his opponents who claim that he’s doing it for show. Others believe that the president shouldn’t meet with Kim until he shows that he is willing to put an end to his nuclear program and end the human rights violations that are taking place in the country. Democratic U.S. Senator Elizabeth Warren stated on NBC’s “Meet the Press” “Before they get that kind of prize, we should insist that they make some real changes, verifiable changes to their programs”. The administration maintains the position that the meeting is not about theatrics or about Trump getting attention but that it is strictly business. On the meeting, Central Intelligence Agency Director Mike Pompeo said of Trump, “He’s going to solve a problem”. Pompeo also stated on CBS’s “Face the Nation” “This administration has its eyes wide open, and the whole time this conversation takes place the pressure will continue to mount on North Korea”. Earlier in the year, Trump promised, “fire and fury like the world has never seen.” if North Korea doesn’t give up its nuclear program and put an end to its aggression in the region, although I am against war unless it is undoubtedly the only solution and keeping in mind that preemptive strikes never work out well, case-in-point, Iraq, Trump must stick to that threat and not back down to the dictator. With 40,000 U.S troops in Japan and another 35,000 in South Korea, not to mention submarines and aircraft carriers in the waters, it would be suicide for Kim to seek armed conflict. Trump must let Kim know that unless he can prove to the U.S and to the world that he is putting an end to his nuclear program that the pressure, the sanctions and the military exercises with South Korea and Japan will continue. Trump must also put pressure on China, North Korea’s biggest ally and get them on board with the idea of a North Korea without nukes. Trump must also not allow Russia to interfere as Putin likes to do when it comes to U.S foreign policy. Lawmakers from both parties are skeptical of Trump’s ability to reach any real deal with Kim as he has failed to win any major legislative victories at home, aside from a tax cut despite his party having the majority in both houses of Congress. Others believe that because the President talks more than seeking action on issues such as gun control, that things will be no different with Kim. Whatever happens, Trump will have to keep his cool and keep his eyes and ears open for Kim’s tricks. He must not back down and he mustn’t let Kim get the upper hand. Trump says he wants “good deals for America”, now is his chance to get one not only for the U.S but for the world. I myself am doubtful not because I don’t have confidence in Trump’s ability to make something happen but because I don’t trust Kim, but if Trump by some miracle walks out of this with a denuclearized North Korea, it may be one of the greatest foreign policy success stories in American history. It will bring a sense of security to the U.S and to the Northeast region of Asia as well as the world. We can only know for sure after the meeting takes place. Note: At the time of this writing, it’s been reported that President Trump fired U.S Secretary of State Rex Tillerson due to disagreements over the Iran Nuclear Deal and how to go about the talks with North Korea. Trump claims that he and Tillerson “got along well” but couldn’t come to an agreement on these matters. Tillerson learned of his firing as it was being reported by the Washington Post Tuesday, March 13, 2018, and via Trump’s tweet regarding the matter. 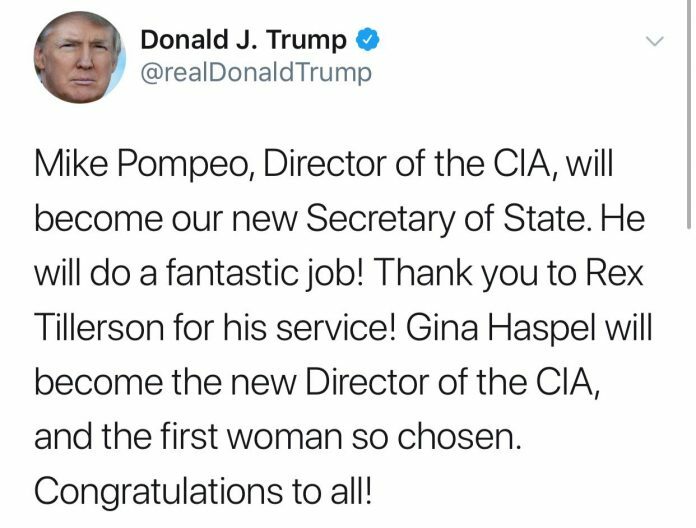 Trump plans to nominate CIA Director Pompeo for Secretary of State. In two previous blogs, “It’s Time to Shut Down the U.S Marine Base in Okinawa” and “A Followup on Okinawa”, I talked about the ongoing issues regarding the U.S Marine base in the Japanese prefecture and the problems the base is causing the island’s citizens. From crime to propellers and windows falling off of military aircraft flying over peoples’ homes and schools. The U.S government has taken a passive approach on this issue, more or less ignoring the concerns of Okinawans and the Japanese government has maintained the stance that the base is vital for security in the region, but has stated that the U.S military should make some minor changes in regards to flying over populated areas. The government of Okinawa has passed resolutions to have the base closed and has asked for aircraft to cease flying above their towns. These resolutions have been ignored. Now, as if to add insult to injury a U.S F-16 fighter jet dumped fuel tanks into a lake in the Northern Japanese prefecture of Aomori. The lake is a vital fishing spot for the citizens of the prefecture, especially for clams. The jet took off from the Misawa Air Base in the same prefecture and shortly after an engine fire occurred, resulting in the two fuel tanks being dropped. Although no injuries were reported, a Japanese fishing boat was 400 meters away, less than a mile. They reported the incident to local authorities long before the U.S made any acknowledgement. The tanks were reported to be 5 meters in length or just over 16 feet. One fisherman who witnessed the incident noted the smell of oil. The incident resulted in an oil slick forming which has, for now, closed the lake to fishing operations until it is determined safe to fish once again. While the fuel tanks were being recovered, the road to the lake was closed by local police. Aomori Gov. Shingo Mimura stated that is “regrettable” that the incident has effected clam fishing operations and that the U.S should compensate the fisherman for their losses. Is it not bad enough when propellers and windows are falling from the sky over peoples’ homes without fuel tanks being dropped into their lakes? The outdated U.S military occupation of Japan has over the course of years, especially the past several months, caused so many problems for the Japanese people, and the U.S government does nothing more than offer apologies but never takes any action to stop flying over populated areas or to close its bases. What would the people of the Aomori prefecture do if their water was so polluted by U.S military accidents and the clams were no longer safe to eat? Would the U.S help them or just apologize? The U.S, in my opinion, has no right to be in Japan and has no right to continuously endanger the lives of Japanese civilians. Again, what would Americans say if a foreign power were doing these things on our soil? We would be angry and demanding change, so why does the U.S continue to ignore the pleas of the people of Japan, continuing their occupation and endangering their lives and livelihoods?